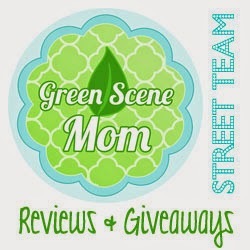 Trying To Go Green: Huge Tender Tushies Cloth Diaper Giveaway 3 Winners!! Huge Tender Tushies Cloth Diaper Giveaway 3 Winners!! Most of you already know about my friend Sarah over at Tender Tushies on Facebook. Maybe you have seen the youtube video I posted on items that she carries. Or maybe you have even seen her in the local area at a show selling diapers at great prices...Well friends I know you have all been waiting for this HUGE giveaway so we will get right down to it. 3 moms will be winning an awesome full days worth of cloth diapers. What may be included in this package? Free priority shipping, package tracking, and free insurance to US only. Any other countries and Canada may win but you must be willing to pay any shipping charges over $10.00. You must complete the 2 mandatory entries to be entered to win. By following my blog by Google Friend Connect on the right side and by friending Tender Tushies on facebook. Once you do those 2 the additional ways to be entered will load. To follow this blog all you need to do is look to the right and click where it says join this site. It will bring up a new box and you can choose to follow by gmail, twitter or yahoo. They you just sign in using one of those and you are now a follower. If you have any questions please e-mail me angiekunst@att.net or write either one of us on facebook. Is there a share button or do I just copy and paste the link? I am getting so excited, I really want to win :) I shared on facebook again! My last chance to enter, I am so excited! I shared again and I did the other day too but I don't see my comment here. It must not have gone through, :/ bummer!